Are you looking for tropical plants in Brisbane and feeling frustrated? The majority of Garden Centres only stock what I call ‘lowest common denominator plants’ and to get something different even rare can take quite a bit of searching. 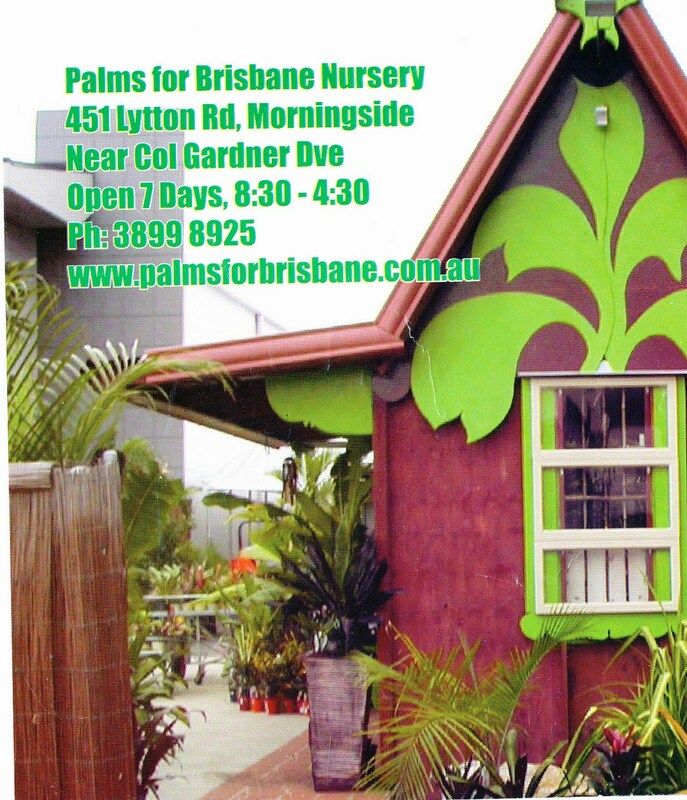 Fortunately there is a nursery almost in the centre of Brisbane that’s easy to get to whether you live on the south or north side of Brisbane. It is called ‘Palms for Brisbane’; don’t let the name fool you as they sell a lot more than palms. They have Heliconias, Costus, Gingers ect, ect. It’s run by Greg Smith and his family and they are always most helpful in selection of plants and will even advise on landscaping your property. In my dealings with Greg I have always been happy with my purchases and he also supports our ‘Open Garden’ by letting us leave our flyers there. Thanks for the information of this site. Love the idea.